Point Park summer courses online or on campus can help graduation day arrive sooner! Point Park welcomes students for our online or on-campus summer sessions, whether you are just starting out with us or are enrolled at another university and want to complete classes to transfer toward your degree. And of course, current Point Park students are welcome to continue their studies during the summer, including completion of core curriculum requirements. See our Catalogs page for undergraduate and graduate catalogs and course descriptions. If you attend a two-year or four-year institution elsewhere, we welcome you to take courses at Point Park, either online or on campus. Point Park’s summer courses can help speed your time to degree completion, make room in your schedule to pursue a second major, minor in a program of interest, or just lighten your credit load for future semesters. Check PointWeb or visit your department chairperson for detailed course information. Note: Please review Point Park's Request to Transfer Credits Policy with regard to classes taken at other institutions. Summer is a great time to begin an academic degree program at Point Park University. We offer more than 100 undergraduate and graduate programs, and a growing number of fully online programs. 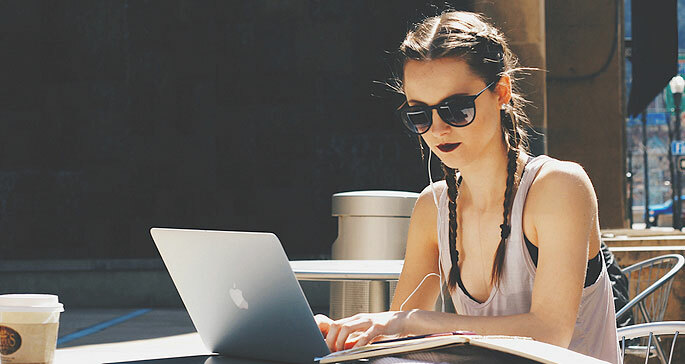 Summer Online Undergraduate Courses: Discounted tuition rate of $455 per credit, plus a $25-per-credit technology fee. 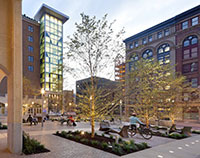 Summer On-Campus Undergraduate Courses: Point Park's summer 2019 undergraduate tuition rate is $844 per credit for courses in the School of Arts and Sciences, School of Business, School of Communication and School of Education and $1,084 per credit for courses in the Conservatory of Performing Arts, plus applicable fees for all courses. Summer Graduate Courses: Point Park's summer 2019 graduate tuition rate of $881 per credit, or $490 for graduate education programs, plus applicable fees. Summer Co-op Pricing for All Students: Point Park's summer 2019 co-op tuition rate is $350 per credit, plus fees. Students are not eligible to receive Point Park University scholarships while taking summer courses. You are not eligible for financial aid taking five or less credits. However, if you are enrolled for six or more credits during the summer, we will notify you of what you are eligible to receive. If you choose to borrow federal student loans for summer courses, please contact our office immediately at 412-392-3930 to discuss how this could affect future loan borrowing for your remaining time at Point Park University. Point Park's summer sessions feature multiple entry points and start as early as May 4.